That's the unwavering vision of The RGB Group, a green development company devoted to environmentally inspired residential projects, and development management services that include zoning/re-zoning, commercial construction project management, rental property management and contracting. Energy efficiency and environmental responsibility guide all of its green building developments. In 2010, The RGB Group completed the first LEED for Homes Platinum Multi-Unit Residential Development in Ontario. The company is now in the planning stages for several exciting LEED-certified developments across Ontario, and long-term plans embrace development projects nationally and internationally. Another RGB Group green building project brings LEED Platinum to Ottawa's Glebe, plus anti-earthquake design! 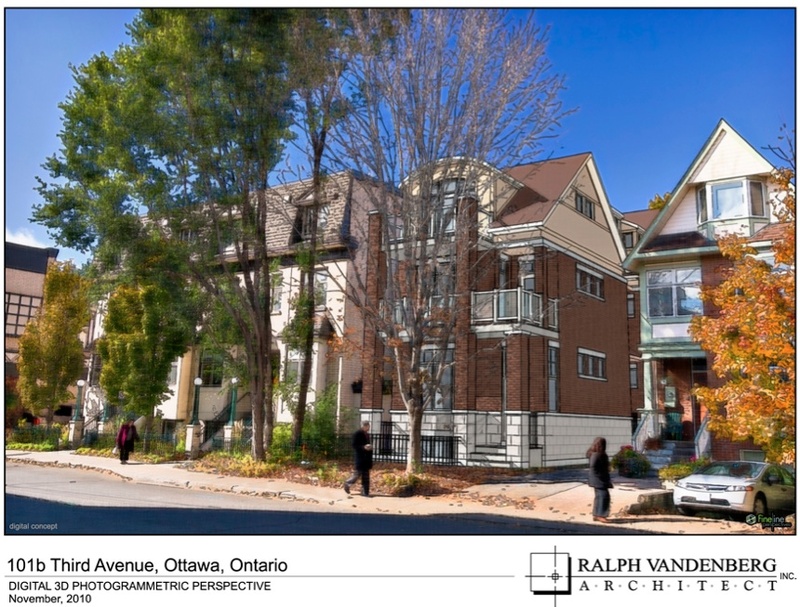 The RGB Group's latest green residential building project is rising in Ottawa's Glebe community on Third Avenue. A showpiece of sustainable design, this three-storey duplex is aiming for the coveted LEED Platinum designation. But there's more. While many don't know it, Ottawa is rated as one of Canada's most active seismic zones in the country, and thus our newest green building in the Glebe is built to be an "anti-quake" as well as a green building! You can read, watch and listen to the amazing media coverage this project has generated by visiting the News section of this Web site. With an all-steel frame that is 30% to 40% stronger than even the City of Ottawa's new seismic-maximized building code, the occupants of this duplex should be able to sleep undisturbed through just about any anticipated earthquake activity. It's going to be The Glebe's Green Diefenbunker!